“Why did you have me, Mummy?” Well, there’s the million dollar question. I have just tried to explain the pro-choice demonstration I’m going on to my seven year old daughter. I’ve attempted, in the past, to answer her questions about procreation as simply and truthfully as possible, but I know I’ve fallen short. There are things she doesn’t understand. Her question is a good one though. If I am going to stand outside the Polish embassy and yell at the top of my voice that women have a fundamental right to choose whether to carry a child to term, then why did I, still at uni, much too young, and not the most maternal person, have her? 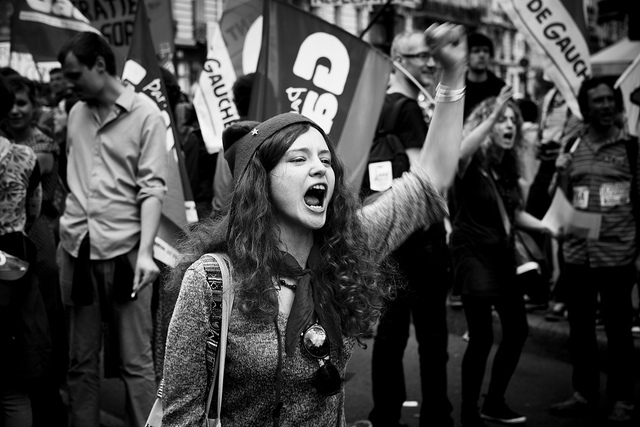 On Saturday 20th March, 250,000 people came together for the People’s Assembly End Austerity Now demo. 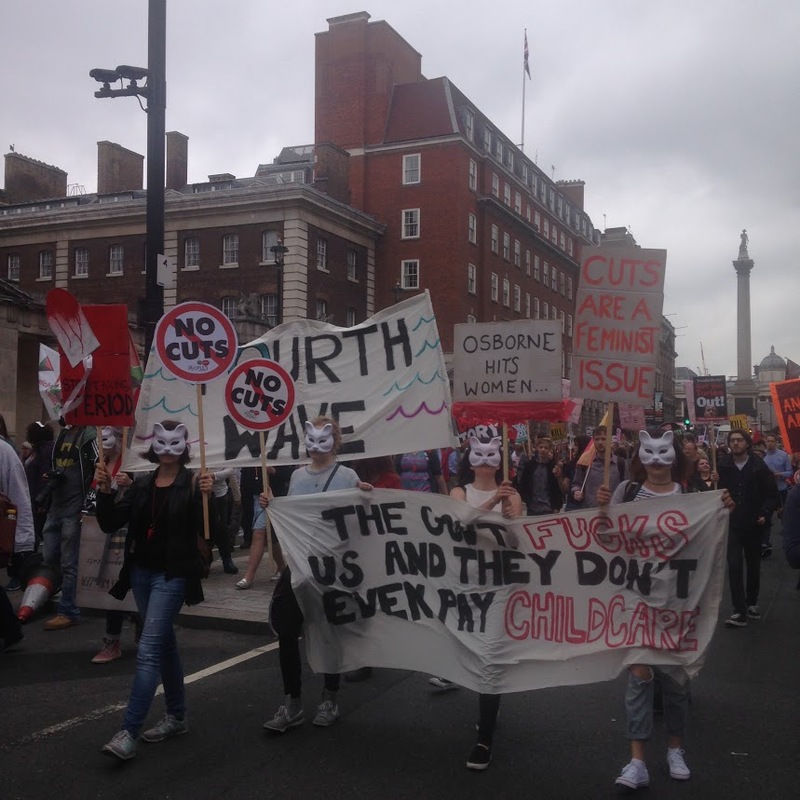 Only 60-70,000 people were estimated to attend, showing that people across the UK are far angrier about the recent cuts than anyone could have predicted. So, you’ve decided to flex your right to protest and are going to your very first march, demo, or other direct action. Great! 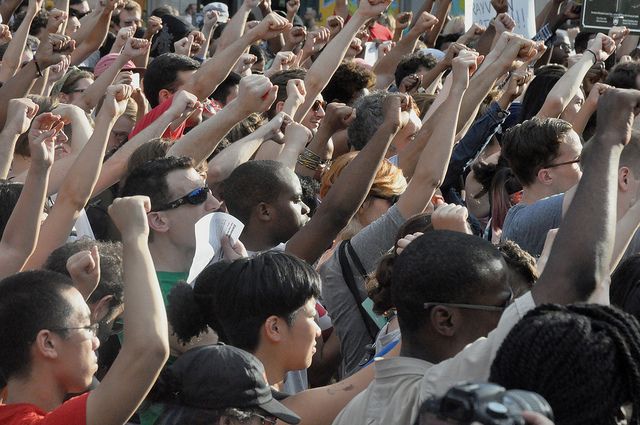 More people should be politically active and in these trying times, every activist counts. Chances are, you’ll have a good time, will meet other politically-engaged people and can feel proud that you took a stand and fought for something you believe in. It’s good to be prepared. I’m not an experienced activist by any stretch of the imagination, but I’m lucky enough to know some protest veterans and I’ve been cobbling together information so that I can share it with other newbies. In addition to reading this article and other information available on the web, I highly recommend attending a Green and Black Cross workshop. I went to one of their workshops (they’re free, so there’s no excuse not to) at the Protest, Policing and Civil Rights event held at SOAS Student Union a few days ago, and it was well worth it. The workshops go into more detail than I’m sketching out below, and going through the information with real life people will help you to retain the information and give you the opportunity to ask questions. The Green and Black Cross are brilliant at giving protesters information and support – please check out their website. So May 7th came and went, and we’re all left feeling like the kid who asked for iPhone, received a small, rectangle package, and opened it to find a calculator. Except quite a bit worse. It’s clear I’m in some kind of lefty-feminist bubble because I know only a handful of people who voted Conservative, compared to hundreds who went for Labour or the Greens, but there were 11,334,576 votes for the Tories. I’m not sure whether to be angry at the bubble for misleading me, or to love the bubble. If only we could go independent.